The Dr didn’t speak any English, not that it mattered. When the x-ray came up on the screen I knew I had fractured vertebrae. It was obvious, one of those things did not look like the others. A wedge fracture of the L1 vertebrae, with a 35% reduction in height. The fracture was stable so I was put in a back brace and told to rest. 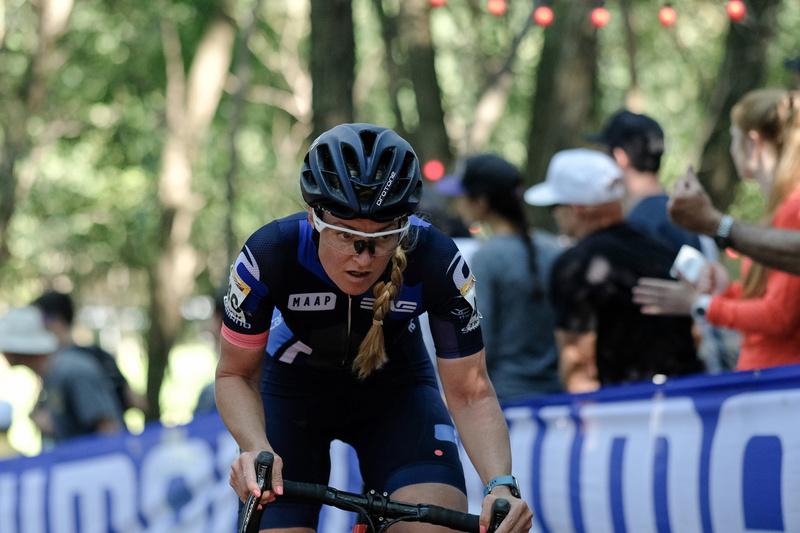 I was 2.5 months into a 5-month trip racing cyclocross around the world. 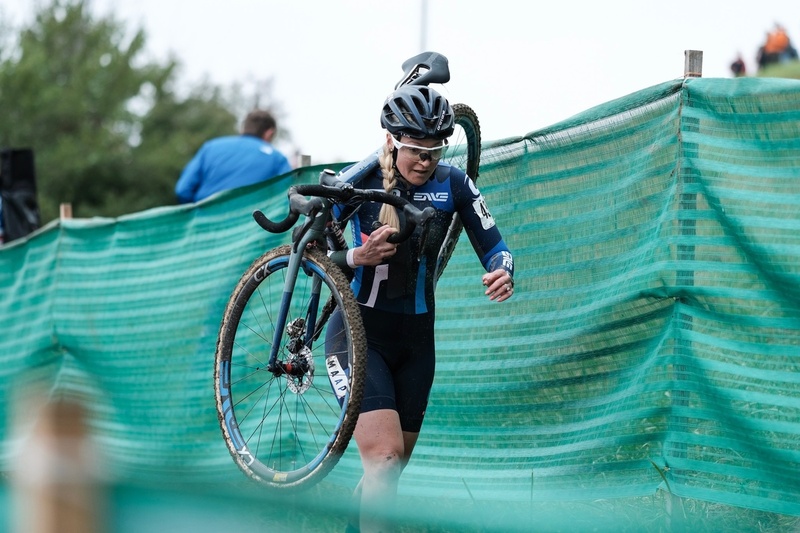 I had just spent 7 weeks in the USA racing the first races on the UCI cyclocross calendar, including Trek World Cup and Jinglecross World Cup. I was in Japan having raced 4 of the 5 races planned and scoring top 5 finishes across the board, including a win. My form was good, my legs were good. This was a devastating blow. It was not as simple as returning to Australia, as my husband and teammate, Garry Millburn was also on this 5-month5 month trip. 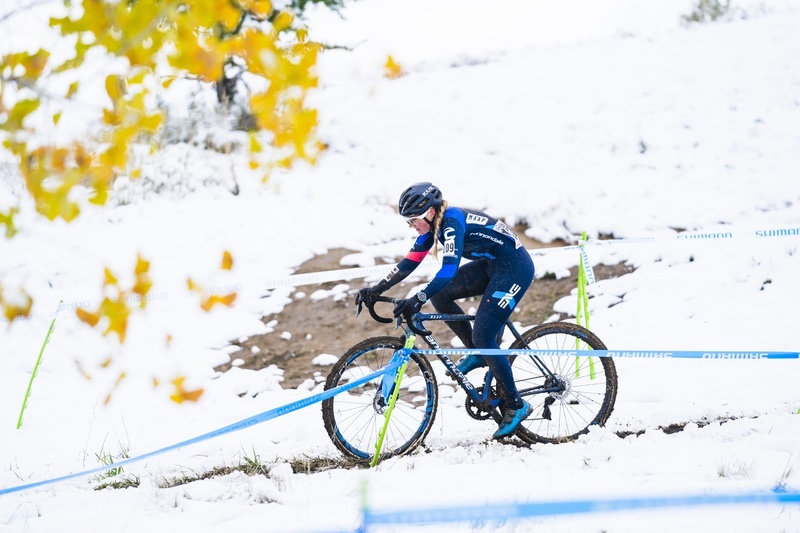 Our plans were to head to Europe for 3 months of racing, including the Cyclocross World Championships. We boarded the flight to Belgium a week later. I spent the preceding days, seeing Doctors and physios, trying to get a plan in place for my recovery. I was eventually given the all clear to ride again, with strict instructions that I was to ride on a “stable trainer” only, and not too much. That was great news, except I don’t travel with a trainer. There is no denying I was starting to feel a little stressed about this restriction but knew it was either find a solution…or don’t ride. I was so grateful that Wahoo jumped to my aid with the loan of a KICKR, it was honestly such a relief to know I had a way forward with my recovery. After the injury, I was determined not to let those goals fall by the wayside. Instead of racing for the next few months, I now had the opportunity to take a few weeks rest, for my back injury but also my legs. Then I would begin to build again. The Wahoo KICKR was to be my salvation and sanity for the next two months. This was my first time using a Wahoo KICKR, so I was suitably impressed with how easy it was to set up, connect to various apps and the overall ride quality. I signed up to a few smart trainer apps for fun and I was ready to go. Initially, I rode purely based on feel, as an athlete, I’m pretty in tune with my body. I kept the training short and easy as I worked out how my body was adjusting and then began to slowly ramp it up. I played around with zwift, which I personally found great for those easy and endurance rides or if I felt like spending some time in the mountains. But when it came to pure training sessions I was really taken with the simplicity of the wahoo fitness app. Setting the power numbers and having erg mode hold you to them for the specified duration, without the distraction of a screen, was absolutely perfect. The addition of the extra data fields, such as TSS and IF, within the app, meant it had all the information I wanted to see. Riding every day for 2 months on the trainer also gave me time to work on the basics that sometimes fall by the wayside. I improved my pedaling technique, did a lot of cadence work and am much more comfortable delivering power in a seated position, which as a cross rider was not typically my strong point. Good base building session and the perfect time to work on breathing, pedaling technique, and cadence. A tough session. It’s great to ensure the top end fitness is still active and that power delivery post interval is consistent. Want more KICKR workouts? We have you covered. Coming back from an injury like this is mentally and physically tough, but knowing I have the ability to continue training has me striving harder than ever for those goals I set myself. My progression and recovery are ongoing, but the road forward is now very clear to me. I wouldn’t be so confident in achieving those goals without wahoo.